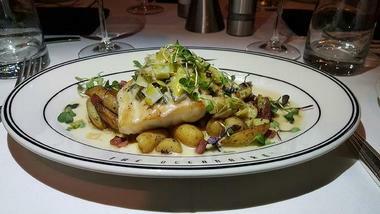 Love the taste of the sea and looking for ocean-fresh, perfectly cooked seafood in Atlanta? This conveniently located city has an esteemed roster of fabulous seafood restaurants and eateries with award-winning chefs at their helms. Whether you have a yearning for anything from Japanese seared ahi tuna, briny oysters that smack of the sea, or delicately grilled Mediterranean-style octopus to fat lobster tails, grilled fish, or good old English fish and chips, you can find your go-to dish at one of these fantastic catches. Fronted by a towering steel structure of a trout/salmon hybrid on Pharr Road, the Atlanta Fish Market is an institution of seafood where you can find everything from Cape Cod skate wing and Boston lemon sole to Block Island swordfish and Nova Scotia halibut. 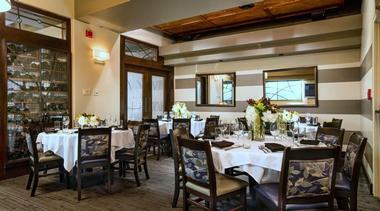 This gourmet Southern restaurant offers over 100 varieties of fresh fish flown in daily, with regular entrées including pecan-crusted salmon trout filet, cedar plank salmon, and Georges Bank sea scallops. Visitors can buy their fresh fish at the onsite Pano's Market along with a variety of other seafood such as lobster and other shellfish, salmon, and trout. They can also dine at the restaurant, which serves a fantastic selection of freshly prepared sushi, including sea urchin nigiri, octopus, tuna hamachi rolls, and crab Ocean Garden. Owned by Atlanta mega-restaurateur Ford Fry, BeetleCat is an upscale oyster bar and cocktail lounge in Inman Quarter serving globally inspired seafood dishes and tailor-made drinks. The seafood-centric eatery is the ‘little sister' to Fry's Westside fish house The Optimist and draws inspiration from the successful restaurant. BeetleCat features a serious oyster bar, a range of delicious small plates with global influences, and an enchanting cruise ship atmosphere. Signature dishes include snacks and starters such as conch fritters, salt and pepper squid, steelhead trout dip, and lobster rolls as well as fresh fish, including grouper, snapper, collar and whole bronzino, and a variety of salads and sides. No reservations are accepted. Seating is first-come, first-served. C&S Seafood and Oyster Bar is an upscale seafood restaurant that takes a classy approach to sea-sourced dining with interiors decorated in an old-school style featuring wood and leather finishes and dimmed lighting. Chops Lobster Bar is an upscale favorite that features a fine dining steak restaurant with succulent steaks and the elegant Lobster Bar, which offers a range of freshly caught seafood, including crustaceans along with many other fish dishes. Signature plates on the menu include a mouthwatering seafood platter with colossal lump crab, South African lobster tails, diver scallops, petite salmon filet, Thai chili Rhode Island calamari, and ahi tuna tartare. The hip mosaic-tiled bar also features live music in the evenings and has an extensive award-winning wine list. 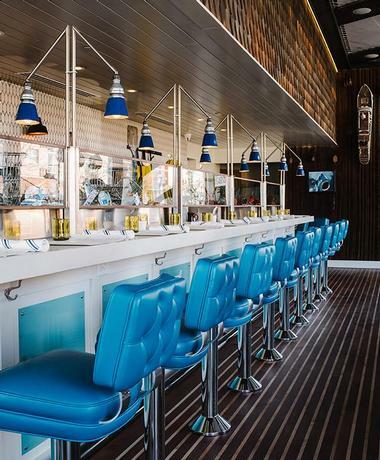 Located on historical Crescent Avenue and inspired by classic American and global coastal cuisine, Lure serves ocean-fresh seafood in the heart of midtown Atlanta. Designed to resemble a storm-weathered fish house, Lure is a great place to enjoy freshly shucked oysters, Georges Bank sea scallops served with rice porridge, grilled cobia collars with smoked onions, or a hearty seafood cassoulet packed with smoked swordfish belly, local white shrimp, and crawfish. Lure serves a traditional weekend brunch featuring fried North Carolina catfish or pan-fried rainbow trout with slow-cooked egg, potatoes, and greens, which is served on the outdoor patio with lovely views. One of three Ray's restaurants, Ray's in the City is one of Atlanta's fine dining establishments and a culinary landmark with an aquarium, an onyx bar, and beautiful views over the city. The menu features freshly flown-in seafood delivered several times daily as well as a delicious array of starters, soups, signature salads, entrées, and desserts along with local craft brews and handmade cocktails. Specialties include Canadian cold water lobster tail, jumbo lump crab cakes, horseradish-encrusted black grouper, and broiled seafood platters, while other mouthwatering dishes include salsa cruda-topped trout and North Atlantic ginger-glazed yellowfin tuna. Pair these succulent seafood plates with local craft brews from Jailhouse and Terrapin or a “Sofia Vergara” margarita with house-made jalapeño tequila. 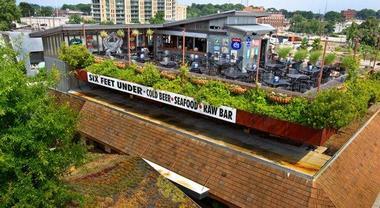 Six Feet Under is a casual rooftop restaurant with locations in Grant Park and the West Side that serves non-fussy seafood along with a variety of cold brews. Overlooking historic Oakland Cemetery, the Grant Park eatery boasts a relaxed pub vibe inside or alfresco dining on the patio outside with a few macabrely named items on the menu due to its locale. The menu features a range of appetizers (fried alligator), sandwiches (catfish po'boy), baskets (fish and chips), steamed shellfish (peel and eat shrimp), and platters (shrimp and scallops) as well as soups, salads, and a raw oyster bar. The ever-popular fried fish baskets and hearty sandwiches pair nicely with one of the bar's ample craft brews. Set in the Buckhead's Pinnacle building, St. Cecilia serves coastal European food rooted in tradition and served with a traditional, ingredient-driven approach. One of Atlanta chef/owner Ford Fry's creations, St. Cecilia features a stylish dining area and spacious bar where guests can stop by for a pre- or post-dinner drink, including specialty cocktails or a glass from the hand-picked beer and wine list. 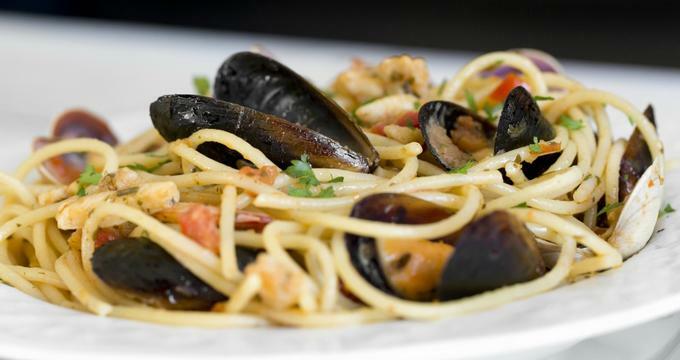 The menu features simple and thoughtful dishes inspired by the coastlines of Italy, Spain, and France made with versatile and local Southern ingredients with signature seafood and pasta plates. Starters include cured meats, burrata, and hearth-roasted octopus, while seasonal entrées feature wood-roasted bronzino and Maine sea scallops. There is also a rotating selection of handmade pasta dishes, from creamy gnudi with house ricotta and brown butter to squid ink spaghetti with tomato-uni ragu and to-die-for desserts like loukoumades with honey-cinnamon syrup and chocolate torta al tartufo. Happily ensconced over two floors in their new location on the corner of 11th Street & West Peachtree Street, the Steamhouse Lounge is a favorite among locals with its laidback atmosphere with cozy booths and tables, wrap-around outdoor deck seating, and inviting outdoor patio seating for alfresco dining. 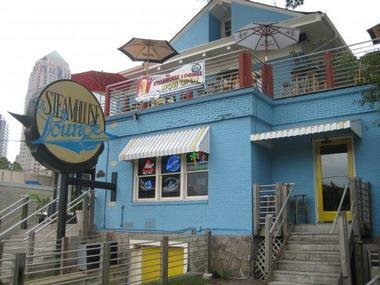 The Steamhouse Lounge is renowned for their award-winning lobster bisque, the freshest seafood in the area, and the signature Goombay Smash, accompanied by a variety of ice cold bottled beers. Tuck into freshly shucked oysters and clams from the raw bar or enjoy sharing fried baskets of catfish, shrimp, grouper fingers, and scallops. The Oceanaire Seafood Room is a ballroom-esque national chain that serves daily changing ‘catch-of-the-day' from all over the world as well as interesting takes on classic seafood bites, such as colossal crabmeat cocktails, mouthwatering escargots bourguignon puff pastries, and lemon-butter-brushed fish plates including Florida snapper and Columbia king salmon. Other signature dishes on the menu include Chesapeake Bay-style crab cakes and chicken-fried lobster dribbled with truffled honey and served with cheese grits and hot sauce. Open for lunch and dinner, the Oceanaire Seafood Room also offers a special events menu and a selection of fine wines, spirits, and cocktails. 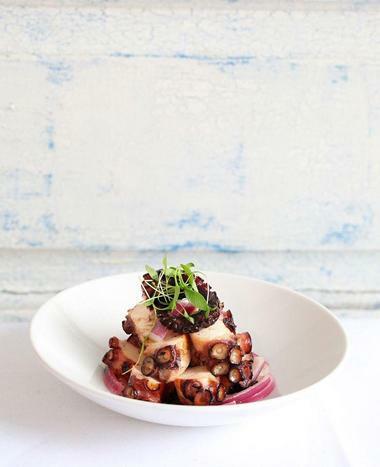 Boasting a soothing nautical design that transports visitors to a seaside resort, the Optimist is one of the city's best spots for fresh seafood with a high-quality menu that features heavenly dishes with ingredients from all around the country. The Optimist is renowned for its ocean-fresh oysters, beachy eats like super-stuffed lobster rolls, and hickory-hearth-roasted fish, including duck-fat-poached swordfish, crispy whole New England haddock, and lane snapper. The cuisine is accompanied by a range of handcrafted cocktails, such as East of Eden with WhistlePig barrel-aged grade-A dark maple syrup and Nikka Coffey Grain Whisky and decanter bitters. 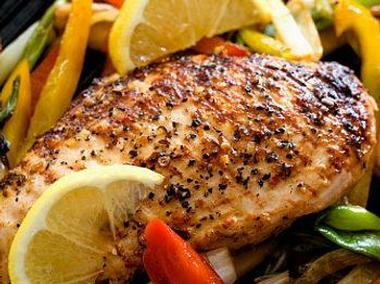 Cajun Seafood Market serves a simple menu that specializes in fresh seafood, grilled steaks, and fresh garden salads. The casual eatery offers a variety of po'boys with shrimp, crawfish, oyster, and catfish, healthy combinations of fresh fish, shrimp and salads, and a signature Louisiana Platter packed with boiled shellfish, steamed snow crab, mussels, crawfish, shrimp, corn, and potatoes. 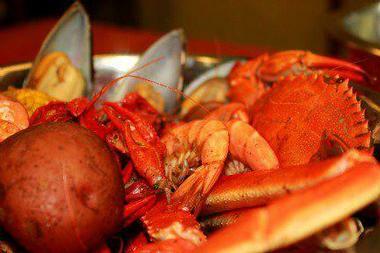 Cajun Seafood Market is open Monday through Saturday and Sunday for lunch and early dinner. Crawfish Shack Seafood is a casual Cajun-style restaurant that serves fresh seafood and Cajun food with a Vietnamese twist. The menu consists of dishes prepared with fresh seasonal seafood delivered daily, including boiled, steamed or Cajun-style cooked whole fish, shrimp, mussels, and crab as well as a variety of po'boys, served on crispy Gambino's French bread and dressed with lettuce, tomatoes, Boar's Head pickle, and remoulade sauce. If you can't decide what to have, simply have it all with the signature Shack-Tastic Platters, which come with crawfish, blue crab, Cajun boiled, or steamed snow crab, mussels, shrimp, Andouille sausage, corn, and red potatoes. Set in an old-fashioned public house space with a lovely outdoor patio, Fontaine's Oyster House is a popular seafood restaurant with an extensive raw bar. 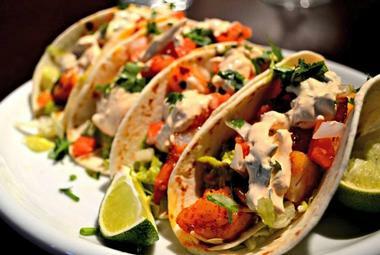 Fontaine's serves a menu of casual seafood fare, including fresh Blue Point oysters, lobster bisque, huge spicy jambalayas, Creole crab balls, shrimp tacos, crab legs, and pasta and scallop dishes. The Oyster House offers great specials throughout the week, including “Oyster Tuesdays,” half-price appetizers on Thursdays, and great Sunday specials. The family-friendly eatery has an extensive bar list that includes craft beers, Bloody Marys, hush puppies, and fine wines from around the world. Kyma is a Greek/Mediterranean seafood house with bright, bold décor, rounded marble columns, and a casual, laidback atmosphere. This family-friendly restaurant serves a menu of creative Mediterranean cuisine and fresh seafood, including whole fish entrées of pink snapper, arctic char, red mullet, and bronzino steeped in a olive oil, lemon, or oregano basting and grilled over an open fire. A unique ‘Foodies' menu features innovative dishes, such as shell-less mussels cooked in white wine and ouzo and tossed with feta cheese and green Holland peppers and grilled cuttlefish stuffed with 12-hour braised lamb. 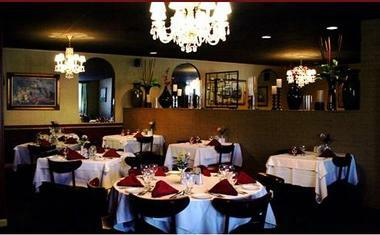 The outstanding cuisine is accompanied by Atlanta's largest selection of Greek wines and other fine international wines. Malone's Steak & Seafood is one of Atlanta's original casual dining restaurants, serving a menu of made-to-order cuisine with fresh, locally sourced ingredients for lunch and dinner Monday through Sunday. 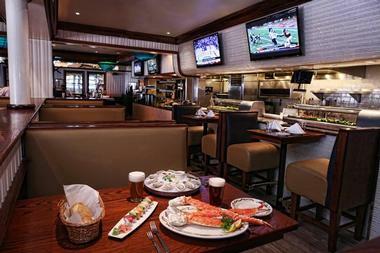 Malone's menu features extensive seafood selections, Midwestern Angus beef steaks, garden fresh salads, and decadent desserts along with a selection of fine wines, craft beers, and imported spirits. Signature seafood dishes include seasoned and grilled catch of the day, crabmeat-stuffed Gulf shrimp served with rice pilaf, and blackened tilapia served with fresh vegetables. 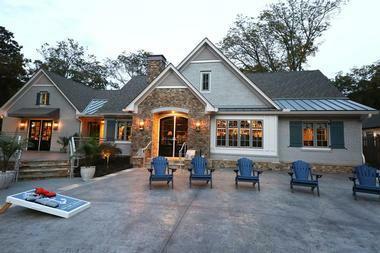 Guests can dine indoors or out on the large patio with lovely views. 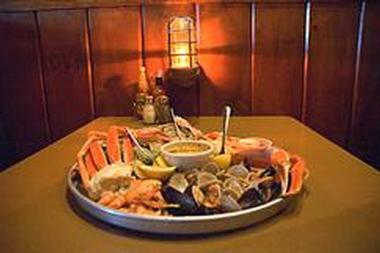 Malone's Steak & Seafood also offers personalized onsite and offsite catering. Located in the historic Cascade area of Atlanta, Baltimore Crab & Seafood Restaurant and Bar is a new addition to an East Coast tradition of seafood restaurants dating back to 1995. The refined seafood restaurant serves a menu of expertly prepared seafood specialties and home-style influenced dishes, like Alaskan snow crab legs, delicious sautéed mussels, and spiced butter-braised Atlantic salmon filet. Signature seafood platters like the Crab and Lobster Platter or the Fried Seafood Platter feature an array of succulent seafood on one plate and there are also choices for meat-lovers, like crispy deep-fried chicken wings, barbequed baby back ribs, and grilled Angus rib-eye steak. 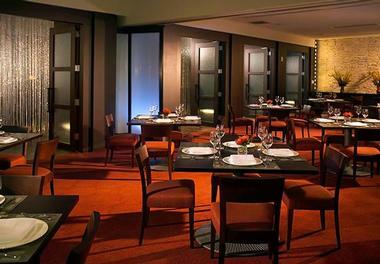 Don't miss the decadent desserts such as mouthwatering banana pudding and chocolate cake. Established in 1986, The Red Snapper is famed for its namesake and serves a variety of freshly caught and delivered fish and other seafood favorites in a casual, relaxed atmosphere. Located on Cheshire Bridge, the contemporary American-style seafood restaurant offers a menu featuring starters such as crabmeat-en-coquille, scallops, and salmon, but the snapper is the star of a menu with a variety of choices on offer, including the “Snapper Yvonne” served with lump crabmeat, artichoke hearts, and mushrooms in a lemon butter sauce, the Snapper Siam, and a signature sensory-overloading Ginger Snapper. Other seafood selections range from grilled Shrimp Jamaica to Crabmeat Vidalia and non-fish dishes like a hearty New York strip of aged beef and the popular chicken Florentine. Fixed-price combinations include fresh salads, soups, and sides such as potatoes, rice, and sautéed vegetables. Ru San's Midtown is a casual Japanese restaurant on Piedmont Avenue that serves a wide variety of Japanese cuisine, including tempura, sushi, and yakitori. 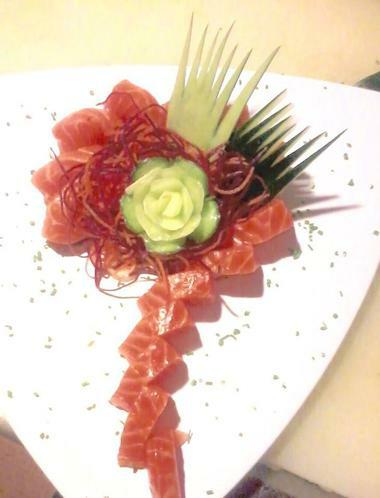 The sushi and sashimi are freshly prepared and made-to-order using the freshest seafood available, while other dishes on the menu include appetizers such as oysters, shrimp cocktail, and softshell crab as well as entrées like baked stuffed flounder, ginger snapper, and blackened shrimp. Meat-lovers can tuck into New York strip steaks, steak au poivre, and chicken James, and signature platters include broiled seafood, blackened snapper, and fried shrimp as well as grilled salmon and cooked scallop platters. Ru San's Midtown also features a bar with a selection of sake. Helmed by the estimable Chef Alexander Busch, Sear is the signature restaurant of the Atlanta Marriott Marquis hotel and specializes in fire-cooked American fare, fresh seafood, and seasonal creations. This Atlanta staple features a comfortable lounge with a fire-inspired ambiance and a creative menu of innovative cuisine that includes Low Country barbecued shrimp with tasso ham or lamb tenderloin with a lima bean-mint purée, along with freshly prepared salads and baked flatbreads. 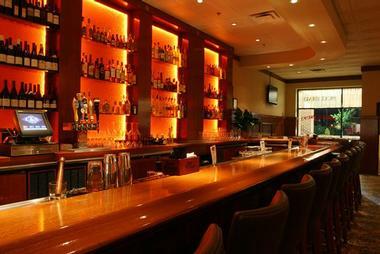 The bar offers an extensive list of handcrafted cocktails, over 100 varieties of local and international wines, and more than 20 unique and local Bourbon selections. Sear has a specially designed Bourbon ice press that creates the perfect ice sphere for keeping drinks cold without watering it down. 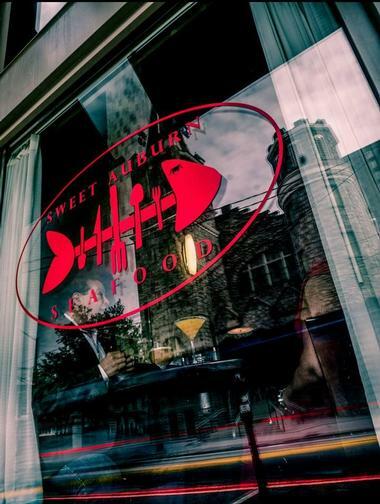 Sweet Auburn Seafood combines Southern flavor with modern flair in an exceptional atmosphere in historical Auburn Street in the heart of Atlanta. Named for its historic location, the premier seafood restaurant features a casual bar and lounge with live music Wednesday through Saturday and is a favorite gathering spot for fantastic food and endless entertainment. The restaurant serves an innovative menu of favorites like lobster macaroni and cheese and award-winning shrimp and grits as well as creative items like a seafood burger, crab boil, lobster pot pie, and a variety of tapas. Signature dishes include orange miso seabass served with sautéed spinach and Georgian mountain trout baked with lemons and extra virgin olive oil. Bringing the Southern coast to the heart of Atlanta, the Big Ketch Saltwater Grill is a beach house-style restaurant that serves fresh seafood and coastal-inspired fare and hand-crafted cocktails in a laidback atmosphere with live music. Named as one of Atlanta's hottest restaurants, the chef-inspired signature dishes include freshly shucked oysters, basil Blue Moon Mussels and clams, classic hot buttered lobster egg rolls, crab and shrimp cake, and fresh catch-of-the-day fish. The hearty home-style fare is accompanied by a range of beverages, including draft and bottled beers, handcrafted cocktails, easy-drinking wines, Champagne, and soft drinks. W. H. Stiles Fish Camp is a modern, urban fish shack run by Star Provisions, the team behind Bacchanalia and Floataway Café, and serves a low-frills, casual menu of fresh seafood from the South, including lobster rolls, pan-seared shrimp po'boys, and trout skin BLTs. 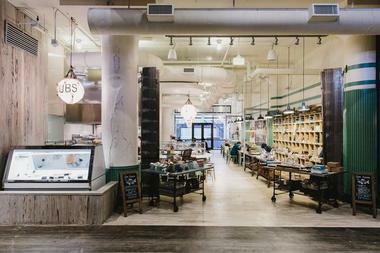 A raw shellfish bar offers fresh oysters, poached white shrimp, and Sapelo Island clams and visitors can also buy a range of sea-inspired home decorations and kitchen utensils, from crab claw crackers to oyster shuckers. A selection of beverages is available to accompany the cuisine, including seltzers, craft beers, and easy-drinking wines.